I absolutely LOVE this cushion. It reminds me of a CARNIVAL... confetti, colour and a ticker tape parade. 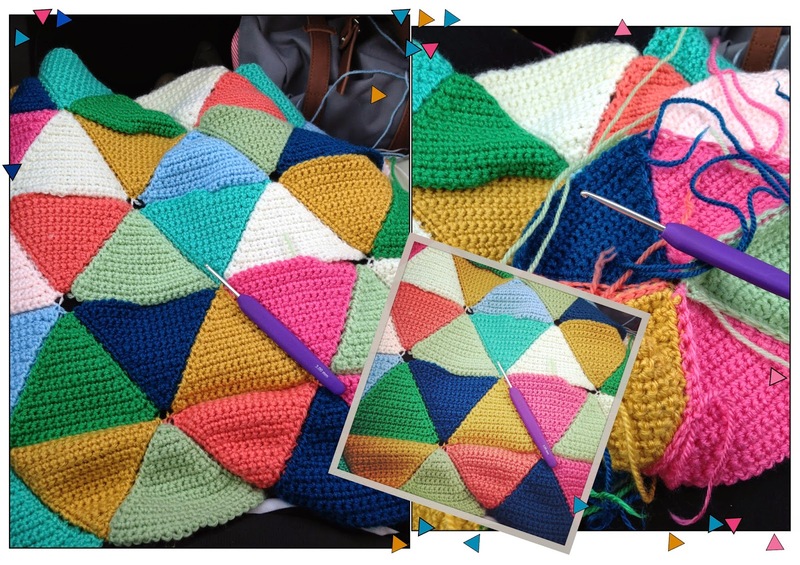 As my hubster did ALL the driving, fabulous driver that he is, it allowed me endless hours of time to sit in the passenger seat and crochet away little triangles, in between sorting out drinks, snacks and entertainment for the (amazingly very well behaved) two little ones in the back. Row 1: Sc in the second ch from hook, and all the way to the end of the row. Ch1 and turn. Row 2: Miss the first st and sc all the way to the end of the row. 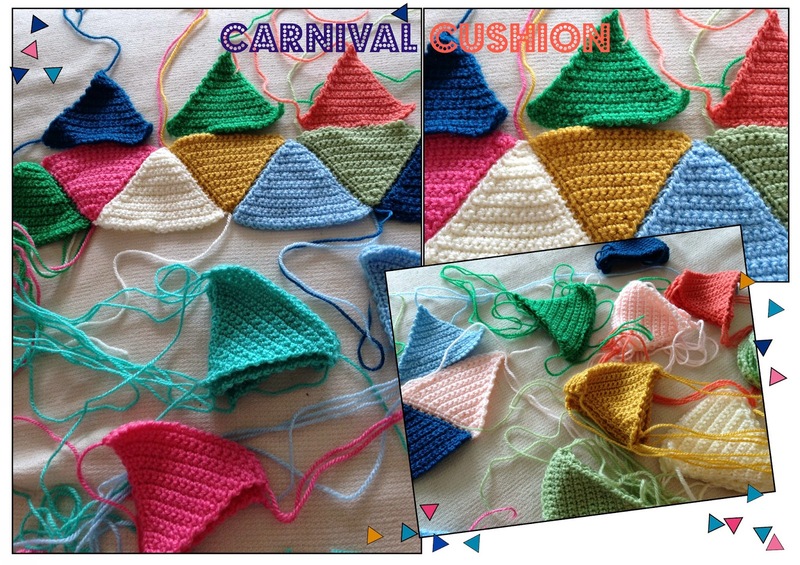 (You carry this on row after row, making the triangle - by missing out a stitch at the start of every row). Once I'd sewn in all the straggling bits of yarn, I sewed the crochet side of the cushion onto some fabric, making an envelope opening. I may try this cushion again, by making the triangles bigger this time.